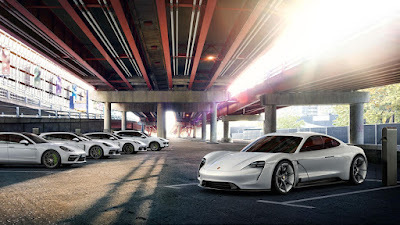 Hit by scandals revolving around its diesel engines, Porsche has announced that they will no longer offer this oil burning powerplant. Instead, the German sportscar maker will double down on its electrified offensive, led by its upcoming Taycan EV. “Porsche is not demonizing diesel. It is, and will remain, an important propulsion technology. We as a sports car manufacturer, however, for whom diesel has always played a secondary role, have conclude that we would like our future to be diesel-free. Naturally we will continue to look after our existing diesel customers with the professionalism they expect,” says Oliver Blume, CEO of Porsche AG. By 2022, Porsche will have invested more than 6 billion euros (~ P 376 billion) in e-mobility, creating the basis for sustainable growth. The carmaker said that interest in its hybrid models point to a good sign. 63 percent of Panamera luxury sedans sold in Europe are hybrids while demand for diesel models has been dropping. In 2017, the diesel share of Porsche diesels worldwide was at 12 percent. As such, Porsche has not had a diesel in its portfolio since February of this year. With the Taycan, Porsche will bring its first purely electric sports car to the market next year. Its manufacturer is carbon neutral and it’s supplied with green electricity via an ultra-fast charging infrastructure spread over Europe. By 2025, one out of every two Porsche vehicles will have electric drive—either hybrid or purely electric. At the same time, the sports car maker is also working on an optimized internal combustion engine. Purist, emotional and powerful sports cars will thus continue to play an important role in the Porsche product portfolio.